Hello and Happy Valentine’s Day! Whether you have a romantic evening planned, are having a girlie Galentine’s Day or even if you’re just going to work (cause, you know it is a Tuesday) - I hope your day is filled with love. I, for one, am feeling loved up from my head to my toes quite literally thanks to Chattyfeet. I briefly mentioned Chattyfeet’s colourful, novelty socks in my Geeky Christmas Gift Guide and I’m back with this adorable pair. This Superhero set is part of Chattyfeet’s couples collection* and they currently carry 3 super cute designs: a Supehero set, a Rockers set and a quirky Artist set featuring Frida Kahlo and Picasso. These his and hers gift packs are a fun way to match with your significant other or you can mix it up a little like I have an wear one sock from each pair. 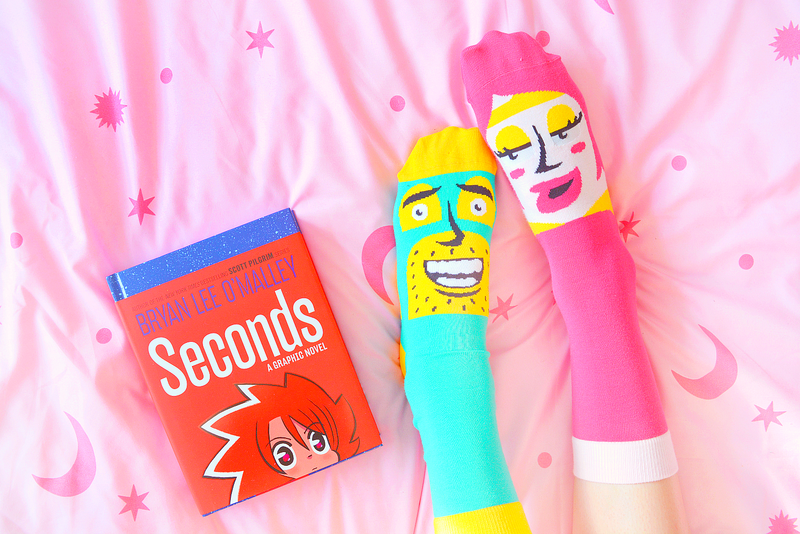 Love isn’t just for couples though and neither are Chattyfeet’s sock sets. They also have a whimsical collection of matching parent and kids socks which are bound to brighten up your day and your toes. They are so many playful designs to choose from and I don’t know about you but I am head over heels with them! To share the love this Valentine's Chattyfeet and I will be hosting a little giveaway! Simply RT this tweet, and follow @2dworlds & @Chattyfeet on Twitter to win a pair of YOUR CHOICE. Ends 28/2. Open to UK entrants only.